There are usually many uses for the same tool. If you’ve ever made a bow and drill fire or a hand drill fire you may have noticed that a perfectly round hole the diameter of the spindle was bored. Did you ever think of applying this technology for drilling a hole in wood? It’s a great way to do it! 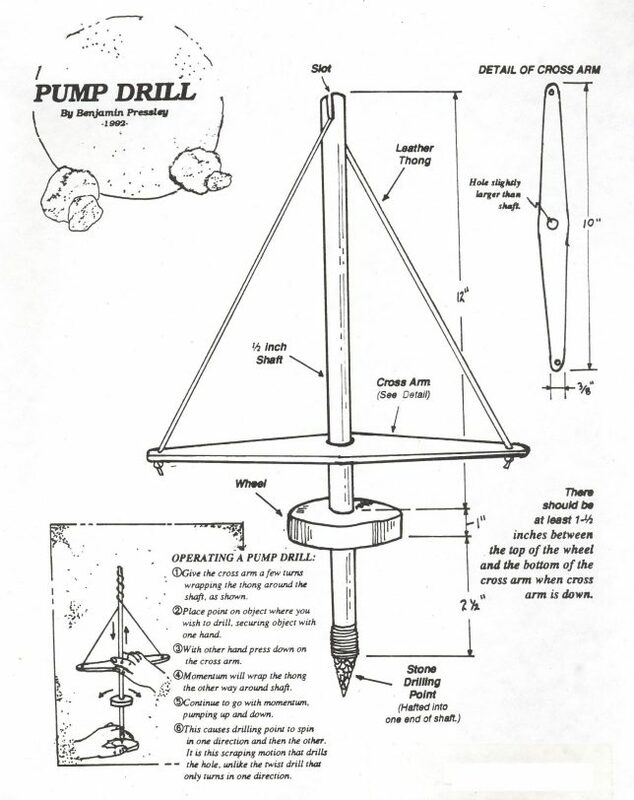 A variation on this method for drilling wood and harder materials like shell and bone, is to mount a stone point in the end of your spindle and use it for drilling. In both cases a notch may be broken out as described earlier and a point the diameter of the hole you wish drilled and made of a harder material than that which you are drilling. The Eskimo people actually made a socket that could be held in the mouth so their hands would be free to hold a drilled object in place. You can also just hold a stone point in your hand and twist it back and forth drilling an object held with the other hand. If it is a small enough object you can also twist it in the opposite direction you are turning the drill with. This gives you a full even circle. Some objects like shell or bone may splinter or split on you if you just drill in all the way through from one side. So, it is best to go only half-way through or just about to the point you are beginning to break through, and flip the object over and finish drilling through from that side. The point of your pocket knife works well for this also. Then there is the pump drill. It is especially good for drilling small objects because it frees up one hand to hold the object down with. Many Native Americans still use the pump drill even today. 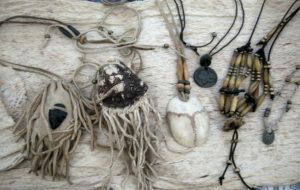 Zuni Indians, Eskimos and others drill beads of shell, coral and turquoise with them as small as 1/16 inch diameter! There is some debate about the possibility that Spanish explorers introduced this drill to Native Americans. ill serve as a flywheel of sorts. There should always be a gap of about 1-1/2 inches between the disc and the cross arm when the cross arm is at its lowest point. To operate the pump drill, give the shaft or cross arm a few turns, raising the cross arm up the shaft as the cordage twists about the shaft. Press down on the cross arm. The momentum will rewind the cord, each time and allow the cross arm to travel up with the momentum. Continue this pumping motion as it drills through the piece you are drilling. In case you may be thinking of using modern drill bits with this arrangement, don’t bother . They won’t work, because drill bits cut as they twist in one direction, pump drills cut by scraping in both directions, making them ideal for stone points and such. 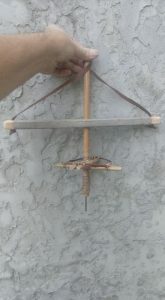 To drill with, hold between palms and spin back and forth while applying downward pressure -or- use a shorter version that is octagonal shaped and use in bow and drill. 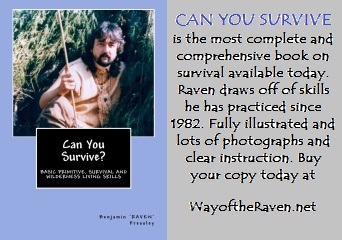 FOR SO MUCH MORE BUY RAVEN’S BOOK! used for any of items above.